This model has been one of the favorite robot 3D designs since 2007. Thousands of views and hundreds of comments prove the immense power that digital art can have on general public. If it sends you into mental dilemma, you are not alone. Let’s state the obvious: this 3D artwork is awesomely unique and uniquely awesome. With the internet exploding from cute cat images, this planet is something of a priceless discovery. How many would choose to live there? It’s hard to guess the story behind this artwork, but it is undoubtedly powerful in its convincing mix of elements of the steampunk style, the surrealistic view of the world and the occult vibe that comes from it. Inspired by his own experience of becoming a dad, Marc Hermitte ceated this 3D model to share his own personal take on what is “beautiful”. Here’s a making of tutorial. “The statue represents a mother breast feeding and where the baby’s mouth touches the breast, the stone becomes warm flesh, showing love and humanity”. Art is often the greatest tool to raise awareness about issues that are in desperate need of immediate attention. Conceptualist artist Robert Chew has taken to digital art to bring awareness to the International Anti-Poaching Foundation’s campaign to help save the “big five” endangered African land mammals. The big five are: rhino, cape buffalo, elephant, lion and leopard. Do you think this is what the future will look like? The car models are slightly outdated, but you will agree the idea is rather compelling. Flying cars? We’ll take it! A sniper returning home is an interesting concept. Doing his laundry, cooking dinner, spending a Netflix Friday on the couch, plotting another murder… How well do you know your neighbors? 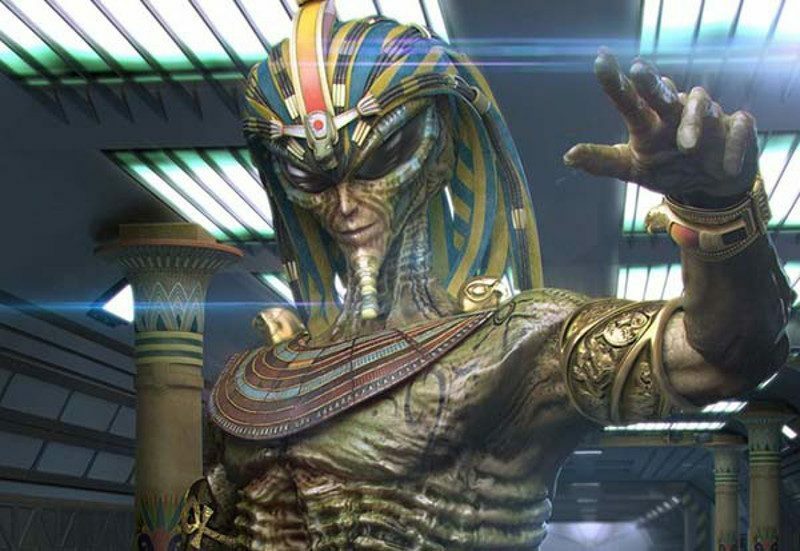 Alien in the disguise of an Egyptian Pharaoh is a cool concept, suggesting (according to the author) “that the ancients were inspired when they saw them come down to Earth”. One of the older, but more relevant than ever 3D models to scratch your consciousness. How damaging and vain is our pursuit of beauty and comfort? This model is now available for purchase, too.